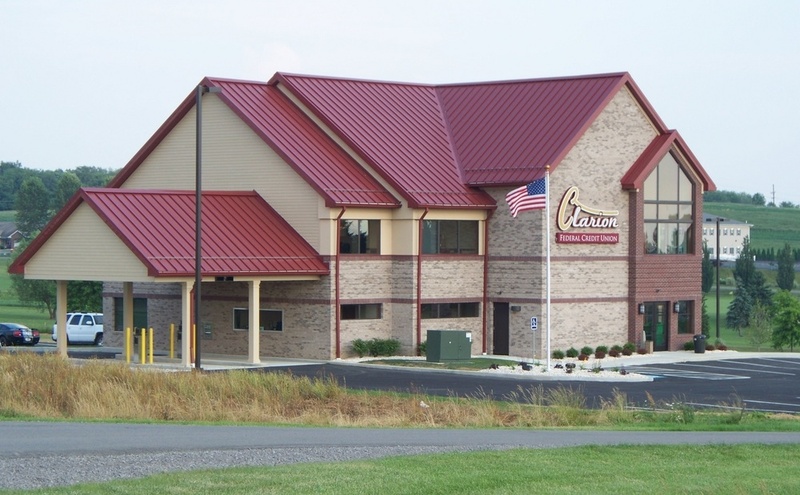 CLARION, Pa. (EYT) – One local girl recently decided to share her birthday with children in need through a program at the Clarion Free Library. 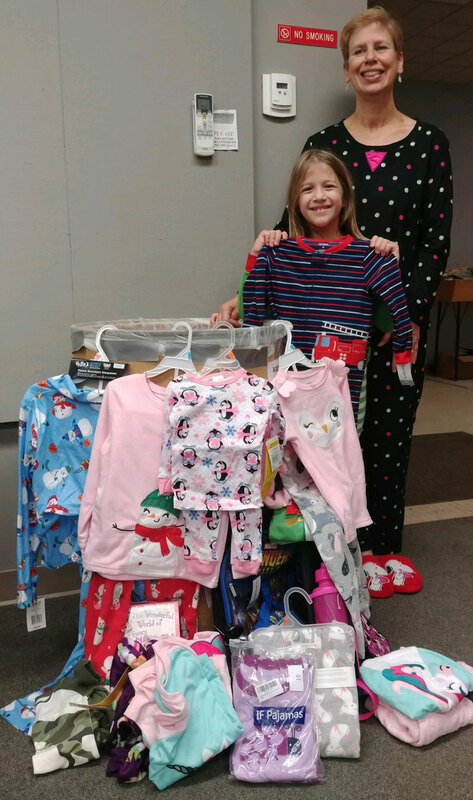 On Thursday, November 29, the Clarion Free Library, Clarion County’s Promise, and the Clarion Center for the Arts sponsored a Pajama Party and Pajama Drive in the Children’s Room of the Clarion Free Library. The event, which offered a chance to hang out, enjoy snacks, and listen to stories in the comfort of pajamas, was also a drive to help others in the community. Children participating in the event were asked to bring a new pair of pajamas to donate to children in need. Eight-year-old Brooklyn (Brooke) Spence, daughter of Jill and Tom Spence, decided to go one step further, though. 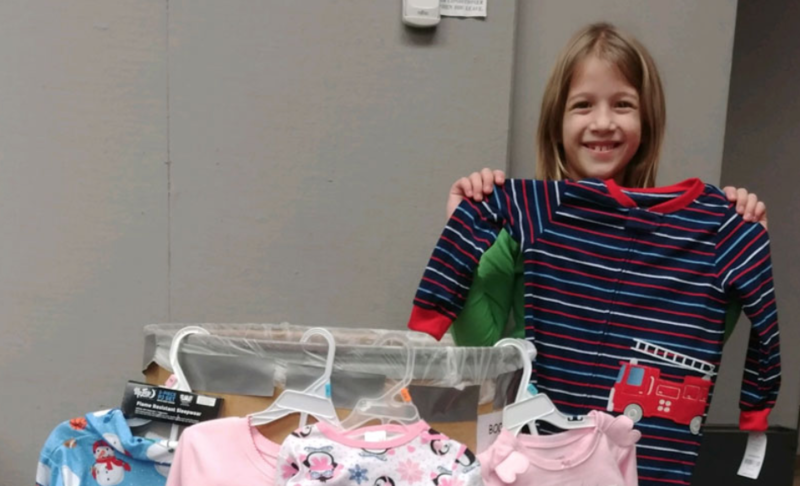 Brooke just celebrated her birthday on November 22, and rather than asking for presents, she asked for something a bit different: pajamas and books to donate at the Pajama Drive. “She came up with the idea of wanting to donate something instead of getting birthday presents in early November,” Jill Spence told exploreClarion.com. 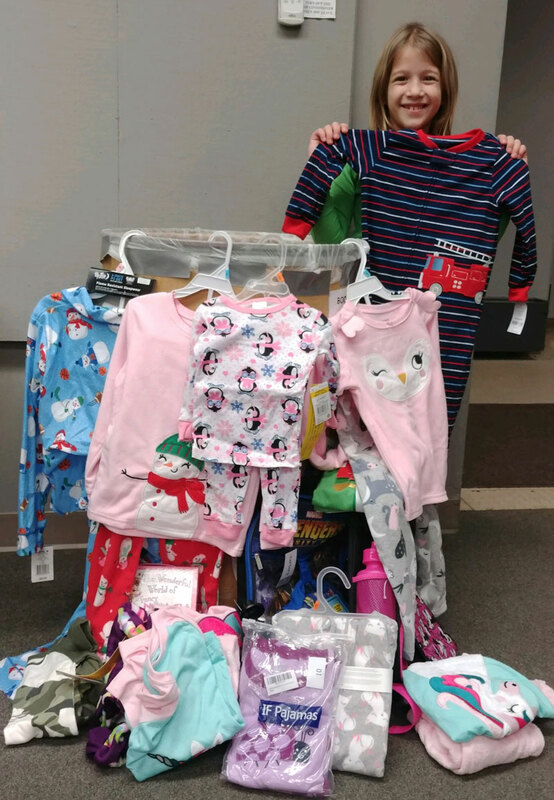 Brooke attended the Pajama Party on Thursday evening and proudly delivered all of the items she’d collected, including a few extras. “Her one aunt and uncle misread the information asking for PJs and a book as PJs and a book bag, so they gave her two book bags filled with PJs. She thought that was really funny, and the library got two book bags, as well as the PJs and books they asked for,” noted Jill. Brooke with Jean Smith, Children’s Librarian at Clarion Free Library.